Today Nutanix released Nutanix Operating System (NOS) 3.5, as well with a technology preview for Microsoft Hyper-V support . This release introduces us to some interesting new developments like the Nutanix Elastic Deduplication Engine for RAM and Flash and dedupe for the capacity tier coming in the near future, a REST-API (Prism API), the PRISM UI and a Site Recovery Adapter for VMware’s SRM. Nutanix started with support for VMware vSphere. As NOS is hypervisor agnostic, after some time KVM support was included. Now with NOS 3.5 will include Microsoft HyperV and will use SMB3 for the shared storage access between the nodes. With the new PRISM UI you can manage all hypervisors from one interface. A great thing but think about the potential of this new hypervisor support on the Nutanix Platform. 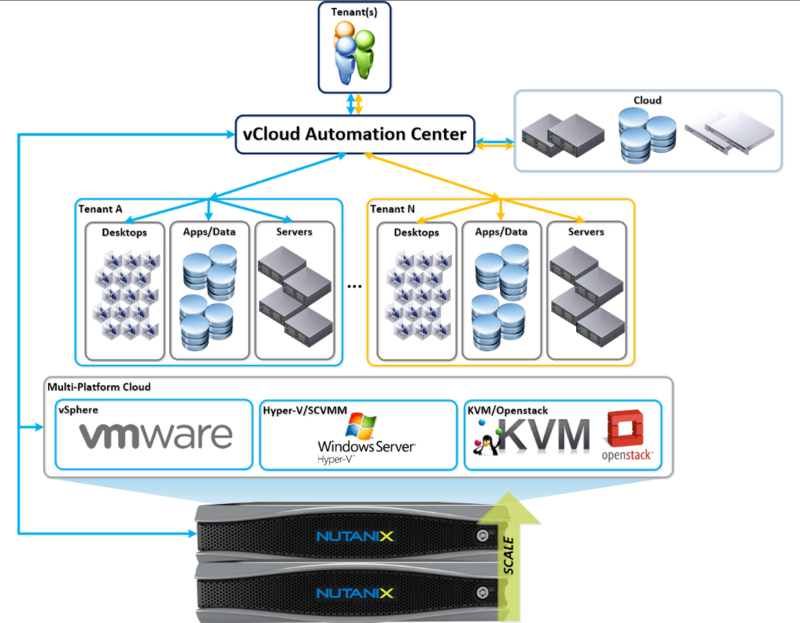 Using VMware vCloud Automation Center a customer could use Nutanix and create clusters that are best suited for the job. In the earlier releases of NOS, inline compression of data was already included. NOS 3.5 introduces the Nutanix Elastic Deduplication Engine. It provides a Real-time deduplication for RAM and Flash, and in the near future Nutanix will include dedupe on the capacity tier (HDD) too. Nutanix looks at data that comes into the Content Cache (RAM and SSD) and puts it all in a Single touch pool (no dedupe will take place here) when the data is accessed for the second time it will be moved to the multi touch pool (here Dedupe will take place) after the data isn’t accessed any more it will be moved to de Capacity tier (HDD). Things like indexing and virusscanning will be catched in the single touch pool, for optimal deduplication. Nutanix Prism is build from the ground up in HTML5. It is a management framework that simplifies the user experience. Within the Prism UI a user can view information in organized manor on system and VM information. With a tile based interface a customer can drill down into information on server, storage and network operations. 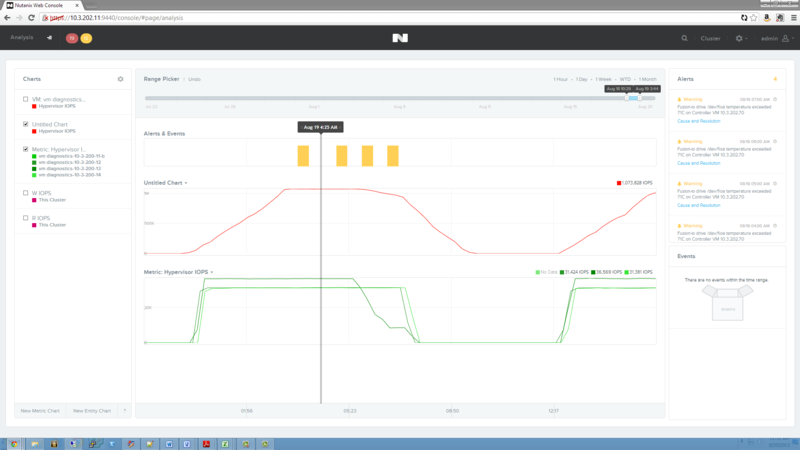 with the Prism API, Nutanix provides a customer an easy way to explore the scripts needed to maintain and monitor the Nutanix environment even further.